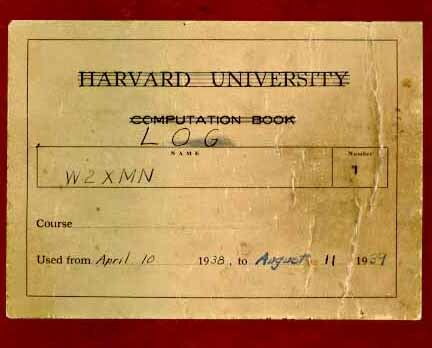 Front cover of logbook #1 from W2XMN. 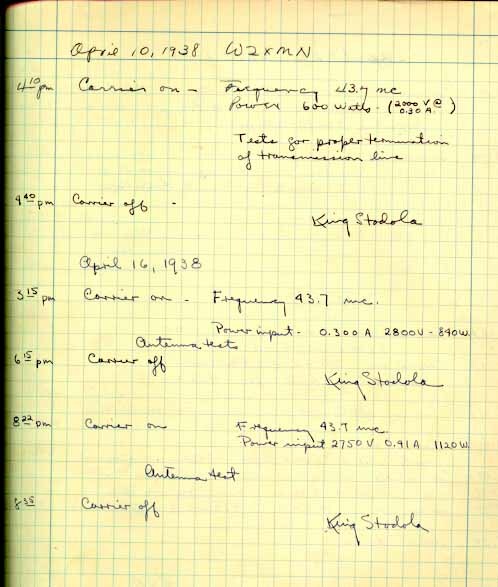 One of five W2XMN (later KE2XCC) logs in the Houck collection. The logs document every aspect of station operation, equipment construction and experimentation. An historic event - the first day of regular FM broadcasting.